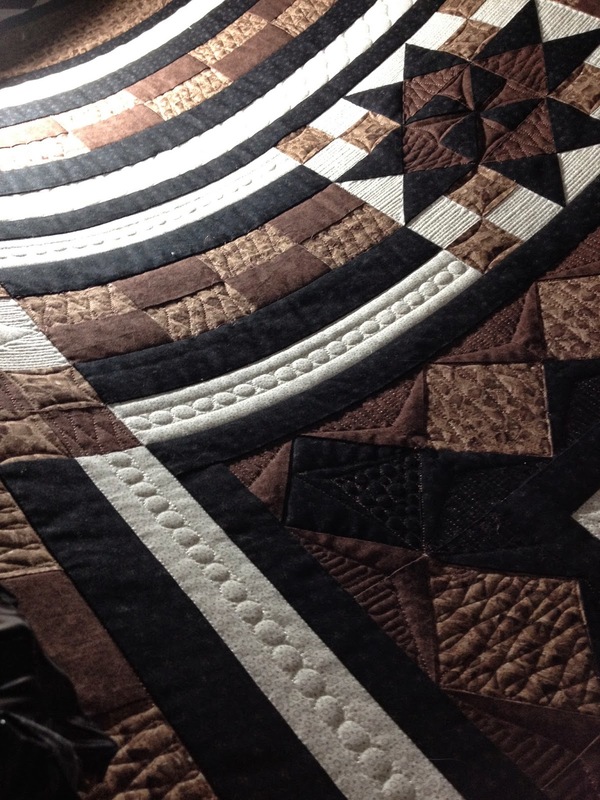 Josee brought me this gorgeous quilt to work on. 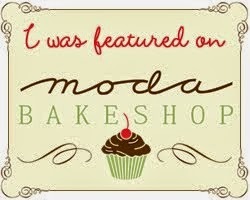 I'm not going to lie...I may have been a wee bit terrified. 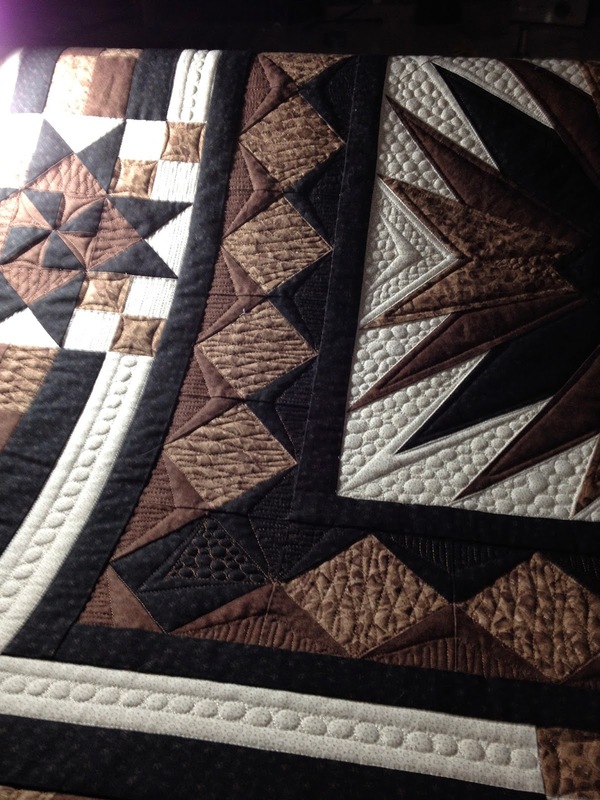 It's more traditional in piecing, design and colours. And then she told me: I want it quilted more modern. 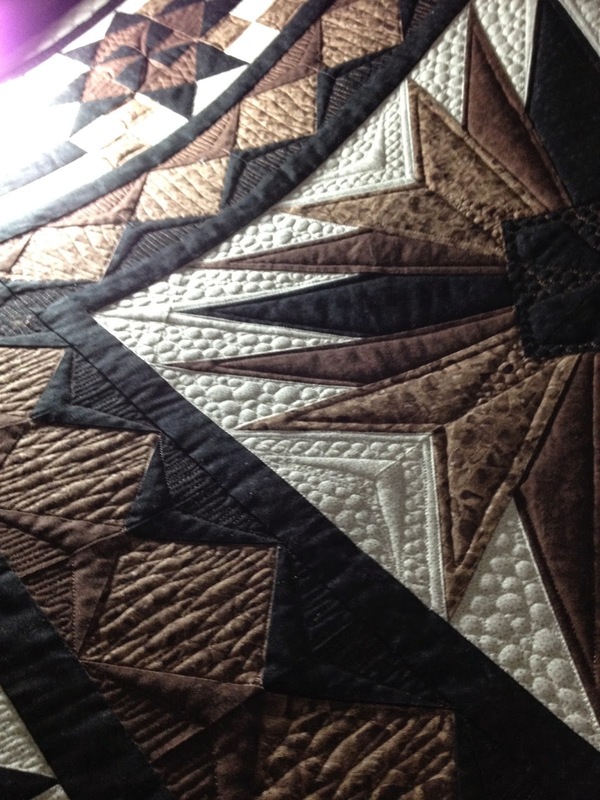 And then I knew I could do it. 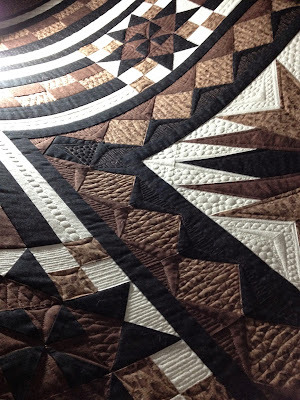 Again, keeping with the theme of making the piecing pop, I densely quilting some areas (the cream) and let the darker colours pop. 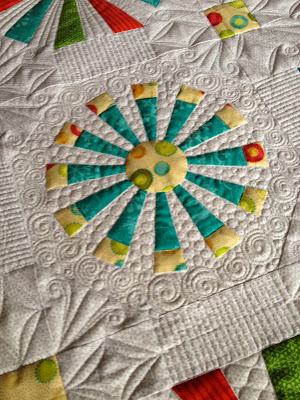 And in the medallion itself, I added a few subtle hints of that ghost shape again. 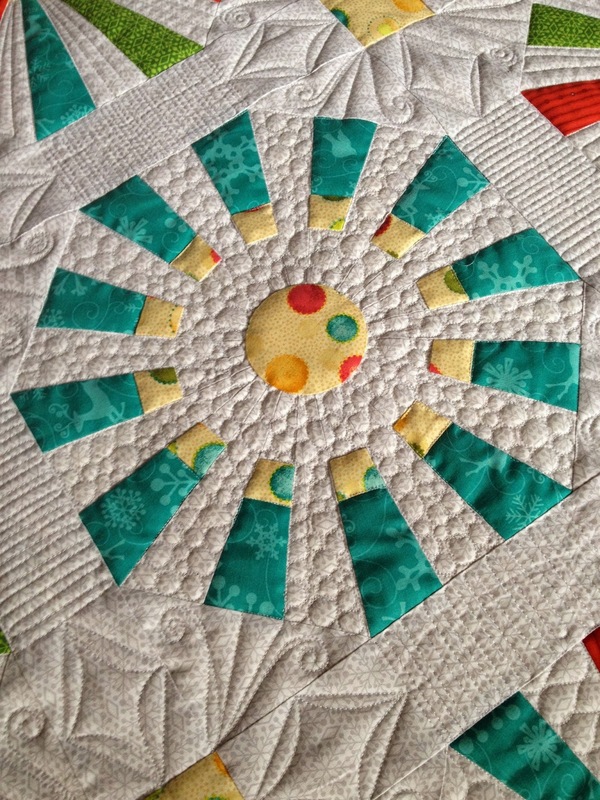 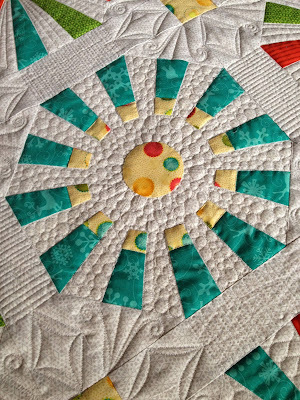 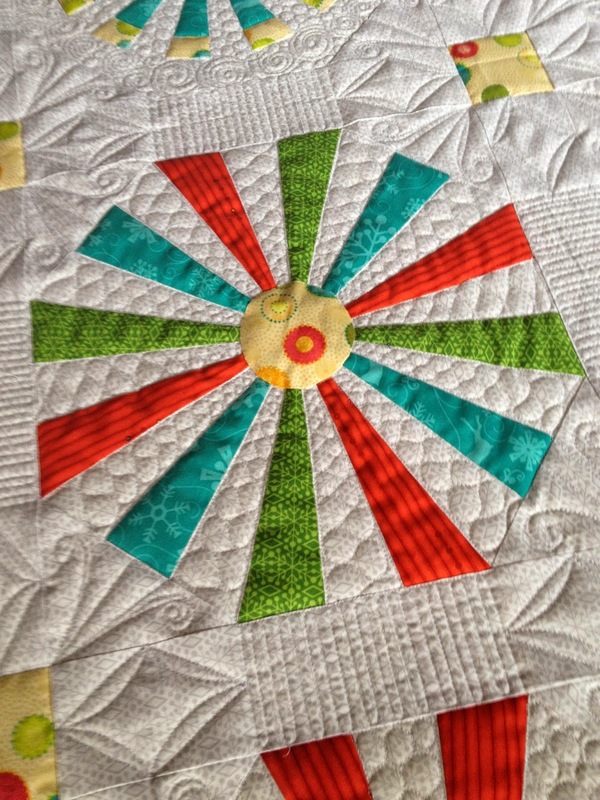 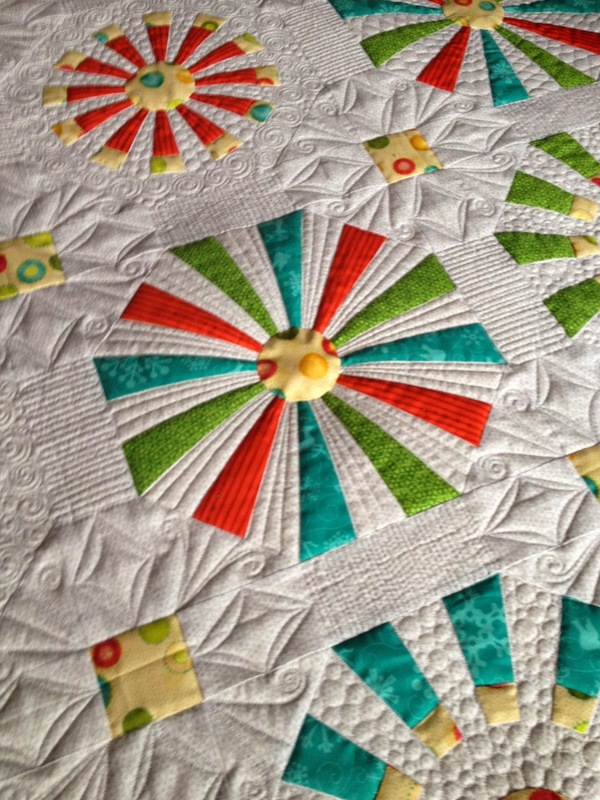 The pebbling and the echoing around the piecing makes the medallion pop. 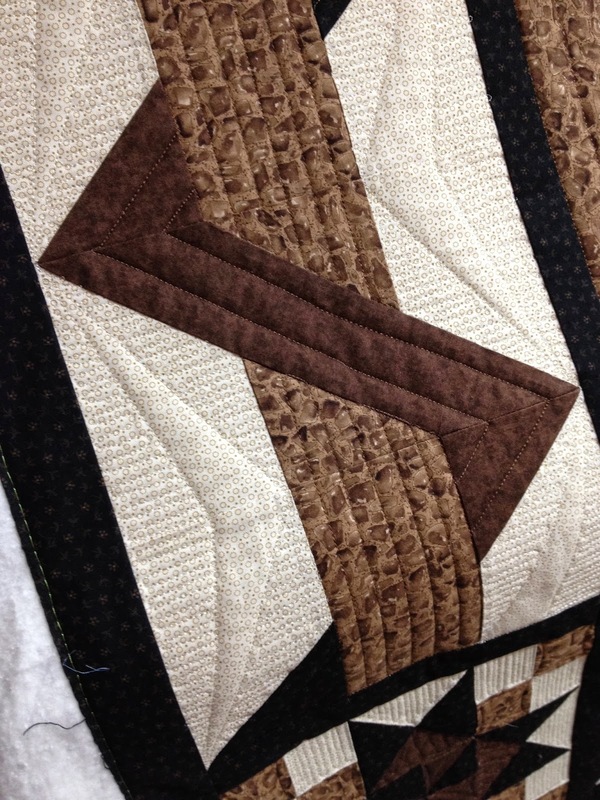 I also did a straight line quilting around the middle border to soften the other quilting. 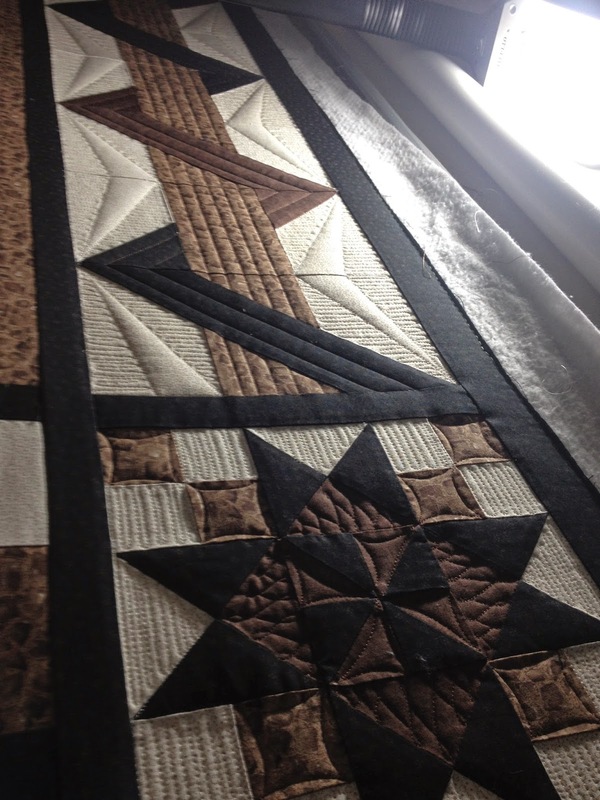 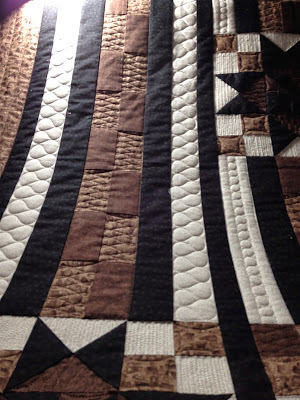 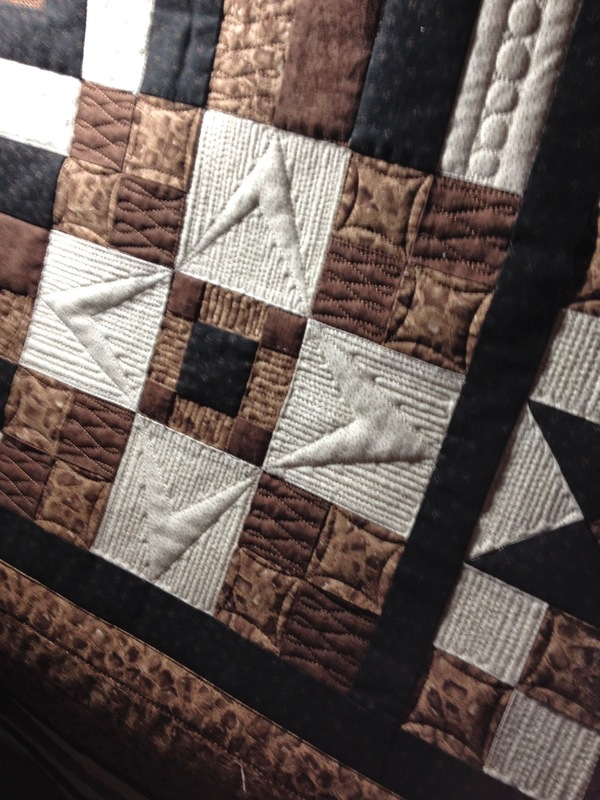 The piecing on this quilt was so precise that it was fairly easy to get those lines accurate! Melissa, a friend from Australia, wanted to try me out. 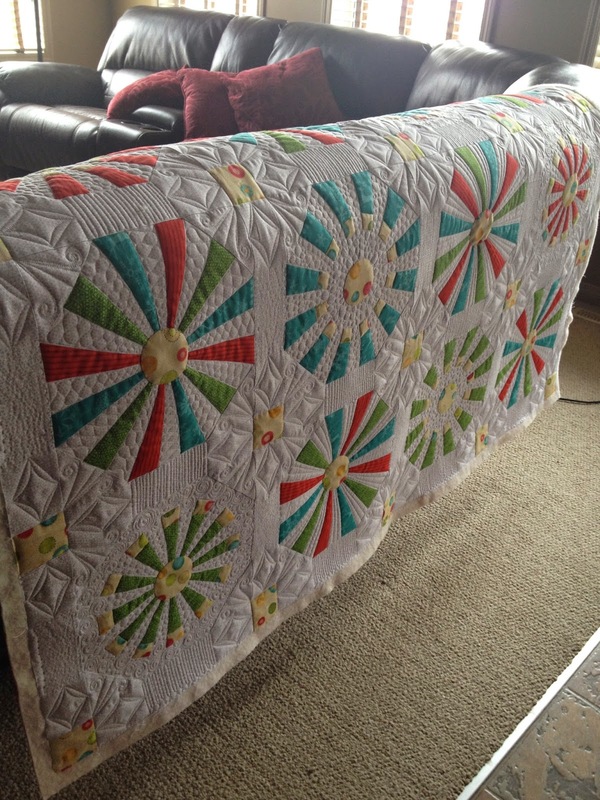 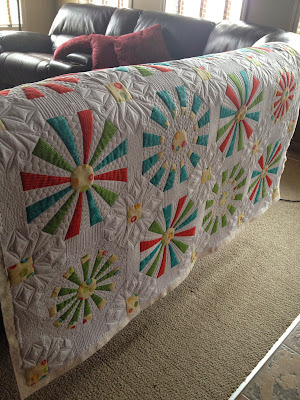 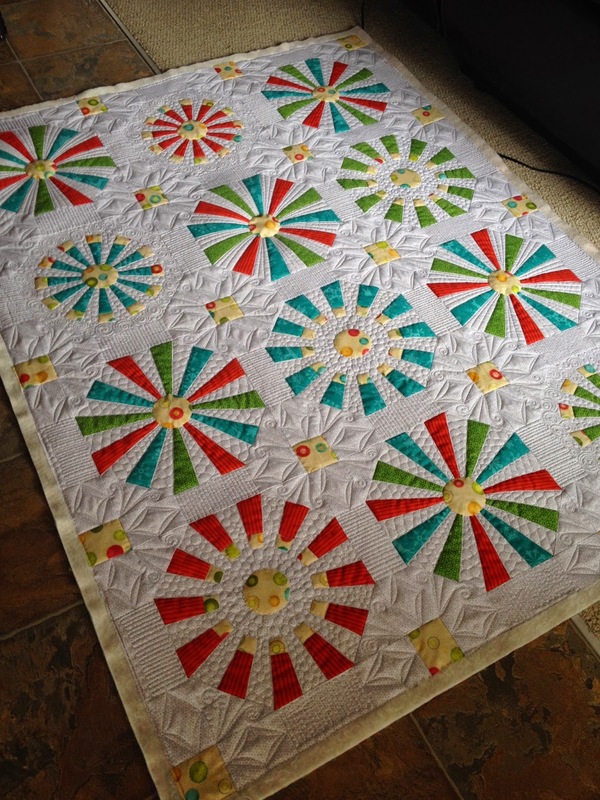 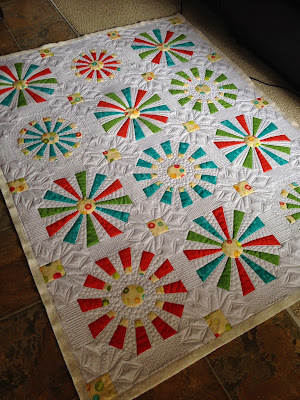 She sent me this adorable modern dresden style quilt made with Christmas fabrics. I went to town with some positive and negative space quilting - denser quilting in some areas to make the lovely piecing pop. 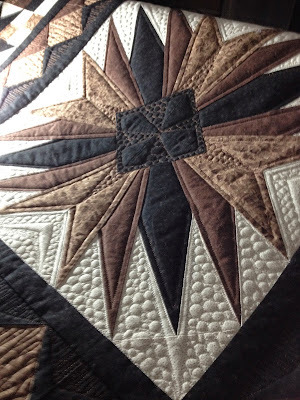 I stitched around each of the 'blades' or 'spokes' of the dresdens to give emphasis on the piecing. 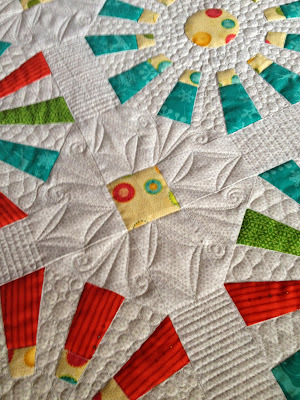 In larger space between the blocks, I saw the perfect opportunity to add some snowflake designs.